The Horseshoe Tavern in downtown Toronto has stood for decades, punching out great music. Author Dave McPherson joins The Full Count to talk about the lore and legend of the Queen and Spadina-locale and its place in Canadian music history. The off & on leading force behind the influential UK prog rock outfit Van Der Graaf Generator as well as a prolific solo artist with over 30 solo albums in a 5 decade record industry career, Peter Hamill has been an odd, idiosyncratic beacon of creativity in his own unique right. From throaty, vocally extravagant pieces of long-form art rock to quiet, solemn, hymn-like compositions, Hamill has never failed to intrigue during his low-key yet vibrant career. One of his top cuts from the mid-70s makes an appearance on this particular S&G podcast- the official final one of 2018. This is the 6th official podcast episode of 2018 here on the Sound & Groove Podcast. This is the 2nd in a 2-part theme on songs about flying. Whether it be be air travel, space travel or any other type of trip into the hemisphere. It's all fair game for another series of tremendous tunes you'll hopefully enjoy. And if you haven't been keeping up with S&G on Music of Evan's Mind and/or its home at www.notthepublicbroadcaster.com, here's the breakdown: Every month there will be a theme that the selection of music is centred around. It will be jam-packed with my analysis, synopses, anecdotes and other witticisms you might enjoy while I play edited-down versions of each tune. And not to worry, because each month will contain a different theme than the last. Got it? Get it? Good. Happy listening to you all. 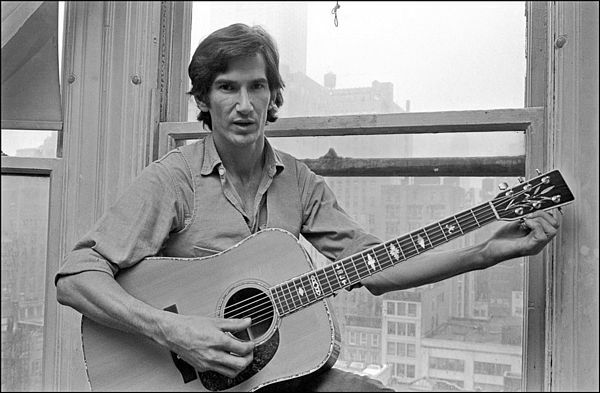 A troubled, yet gifted and highly envied songwriter, Townes Van Zandt's career was often interrupted by long bouts of inactivity after the early 70s- mainly due to his battles with manic depression, drug and alcohol abuse that ultimately cut short his life at age 52 in 1997. But in his late 60s and early 70s prime, he formed into one of the preeminent figures of the growing singer-songwriter movement, but of the wing that consisted of musicians steeped in the country and/or bluegrass sensibilities of the South finding success with a folkier style that played to the coffee houses of hot spots such as San Antonio, Austin, Nashville and Memphis. One of his best tracks from his only studio album released between 1973 and 1986 (Flyin' Shoes) is featured on Part 1 of this S&G theme. This is the 5th official podcast episode of 2018 here on the Sound &amp; Groove Podcast. This is the 1st in a 2-part theme on songs about flying. Whether it be be air travel, space travel or any other type of trip into the hemisphere. It's all fair game for another series of tremendous tunes you'll hopefully enjoy. And if you haven't been keeping up with S&amp;G on Music of Evan's Mind and/or its home at www.notthepublicbroadcaster.com, here's the breakdown: Every month there will be a theme that the selection of music is centred around. It will be jam-packed with my analysis, synopses, anecdotes and other witticisms you might enjoy while I play edited-down versions of each tune. And not to worry, because each month will contain a different theme than the last. Got it? Get it? Good. Happy listening to you all. The Full Count welcomes Mark Hebscher. A longtime sports journalist, Mark now does his own podcast. Its called XXXX, and he’s got his first book coming out next February. I thought it was a good time to get him here on The Full Count to talk about the biz, about the issues in my new book Cap In Hand and why independent voices are dead. A new book tries to shed a little light on the dynamic between governments and the press. Power, Prime Ministers, and The Press charts the sometimes fractious, sometimes symbiotic history of the prime ministers and the Parliamentary press corps. The author is my old friend and colleague Bob Lewis and he joins me on The Full Count. As we look to those crisp autumn days of leaf rules and beautiful scenery, we’ve been through a long season already. What’s left to work on? Horty says there’s plenty. This episode, Paul will address what kind of club should we should use for that gap between our wedges and driver. Irons or hybrids? Later, he’ll discuss the the Ryder Cup. Welcome to Jody and BD, a podcast by veteran broadcasters Jody Vance and Bruce Dowbiggin. She’s a cat from the coast. His head is in the mountains. She’s a liberal. He’s a conservative. She likes baseball. He’s into golf. What can they possibly agree on? On this episode, they discuss Justin Trudeau, Jian Gomeshi, and the Emmy’s. This is the 4th official podcast episode of 2018 here on the Sound & Groove Podcast. It's a bit overdue but no need to worry, as I've pledged another 2 episodes yet to come throughout this calendar year. This is the 2nd in a 2-part theme on songs about the darker side of our nature, ie violence. So get ready for songs of murder, deceit, disgrace, riot, mayhem and general anarchy muhahaha. Oh, but also a treasure trove of delicious music to sink your teeth into. In their mid-70s prime, Dr. Feelgood stood as arguably the most vital of the so-called "pub rock" acts to emerge. 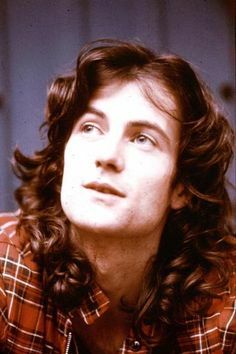 They were a grungy, cutting, sneering antidote to the polished, formulaic glam rock or treacly bubblegum pop dominating the charts at the time in the UK. Though bands like them harkened back to the devotedly pure R&B, blues, rockabilly and soul of the mid-60s British music scene, their uncompromising sound and attitude did actually pave the way for numerous punk and new wave bands who by decade's end were stealing the show (by then Dr. Feelgood was struggling to stay relevant , though doing so better than many of the glam bands they stood in defiance of). This is the 3rd official podcast episode of 2018 here on the Sound & Groove Podcast. It's a bit overdue but no need to worry, as I've pledged another 3 episodes yet to come throughout this calendar year. This is the 1st in a 2-part theme on songs about the darker side of our nature, ie violence. So get ready for songs of murder, deceit, disgrace, riot, mayhem and general anarchy muhahaha. Oh, but also a treasure trove of delicious music to sink your teeth into. On this episode of Hit Your Second Shot First with Paul Horton, This episode we are going to talk about how to approach competition. And for coaches, how to get your pupils ready for it. Plus a look back at the Open Championship and forward to the Canadian Open. And on Paul’s Pointers, Horty will talk about the short game— perhaps the most overlooked part of scoring. Following Donald Trump's Presidency up close and personal is Debra Saunders, a longtime columnist and reporter who’s the White House correspondent for the Las Vegas Review Journal. She joined us in Year One on the Full Count with Bruce Dowbiggin, and we’re happy to have her back from her office in Washington, DC. Andrew Prossin is the CEO of One Ocean and he grew up dreaming of the sea in Cape Breton. Horn in a 70-knot Southern Ocean gale. Possin sat down with The Full Count to talk about his tourism company, One Ocean. Louisiana native Tony Joe White brought a sound straight from the bayou to the thriving late 60s soul scene, penning several signature cuts not only for himself but other artists- namely "Rainy Night in Georgia" for Brook Benton. One of those other big cuts, his immortal backwoods tale "Polk Salad Annie," is featured on this 2nd podcast themed episode about first names featured in song. This is the 2nd official podcast episode of 2018 here on the Sound & Groove Podcast. It's long overdue but no need to worry, as I've pledged another 4 episodes yet to come throughout this calendar year. This is the 2nd in a 2-part theme on songs featuring first names in the title. As in, songs that mention a person's name like Steve or Martha or Rick or Emily (none of which I've actually used! But you get the picture). So check out some of my favourite tracks that fit with the motif I've come up with this time around. completed at Shinnecock Hills. And Paul makes a big announcement! Listen to find out what it is. American author and consultant Wesley J. Smith is among the world's foremost critics of assisted suicide and utilitarian bioethics. His blog on National Review advances his theory of "human exceptionalism" and defends intrinsic human dignity. We’re pleased to welcome him back to The Full Count with Bruce Dowbiggin. Warren Farrell was such an enlightening guest on his first visit to the Full Count, we had to bring him back. Farrell is an American educator, activist and author Warren Farrell. His latest book, The Boy Crisis, cowritten with John Gray, is an eye-opening examination of what has happened to males in the era of ascendant feminism. The Ontario provincial election is coming down to its final days with voters set to go to the polls on June 7. No one knows Ontario politics better than Steve Paikin, the longtime host of The Agenda, on TV Ontario. He joins us on the Full Count to talk about how we got here and where it’s going in the most populous and powerful province in the country. crucial point. Prime Minister Justin Trudeau’s government and the Alberta legislature have both made significant moves in the effort to push the project through against the B.C. NDP/Green coalition government. To gain some perspective on all this, The Full Count welcomes back Brett Wilson, Canadian investment banker, businessman, investor, and philanthropist. In this episode, Paul Horton and Bruce Dowbiggin head to the teaching tee - they talk about how to prepare for a season of teaching. Paul provides his insights as PGA professionals prepare for the peak season of providing the best lessons possible to your students. Knowing your student, their background, and who they are to mold your lessons over the summer months. Paul also lists the teachers and books who have influenced his teaching and what he recommends to fellow PGA professionals.